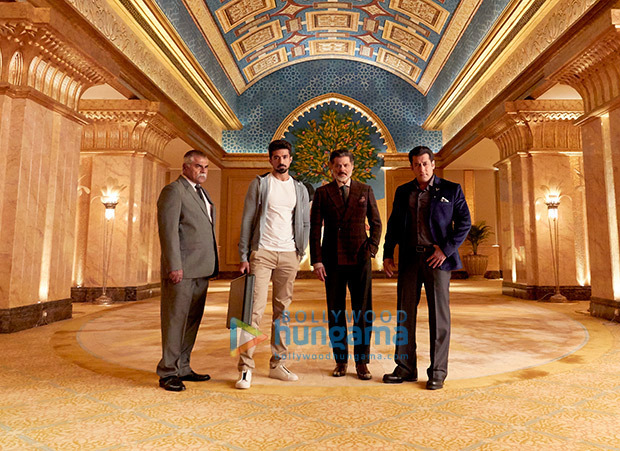 It is a known fact that a major portion of Race 3 was shot in Abu Dhabi. While we can catch all the action shot at Abu Dhabi in the film, here are some EXCLUSIVE pictures that will give you a sneak-peek into the grandness of the schedule and the picturesque locations the film was shot. 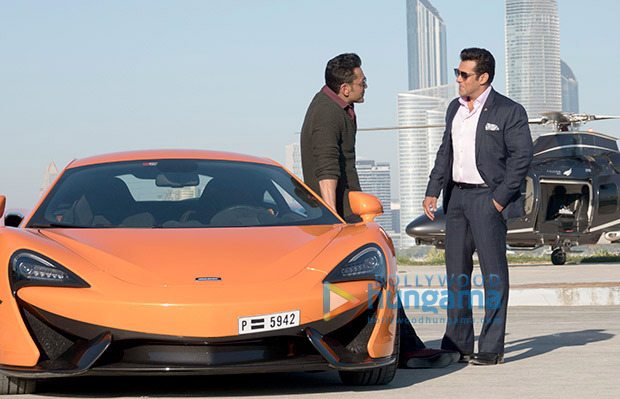 We caught hold of some interesting behind-the-scenes pictures of Race 3. The action thriller is the latest major international production to be shot in Abu Dhabi, filming at nine locations over 23 days. The exclusive behind-the-scenes images show the stars at Abu Dhabi landmarks such as Emirates Palace, Yas Viceroy Abu Dhabi, Emirates Steel, Nation Towers, Abu Dhabi Exhibition Centre, Abu Dhabi Global Market and Intercontinental Hotel Abu Dhabi. Also featured is a picture of the helicopter used in the movie from Falcon Aviation. 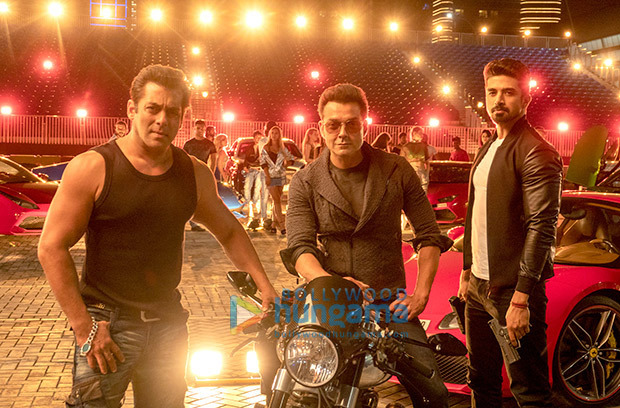 Race 3 is the third film in the popular thriller and action franchise starring, Salman Khan, Jacqueline Fernandes, Anil Kapoor, Bobby Deol, Daisy Shah and Saqib Saleem. It was produced by Salman Khan Films & Tips Industries Ltd. The film, directed by Remo D’Souza, also marked the return of leading Hollywood stunt director Tom Struthers, who relied on the help of the UAE Armed Forces for the exciting action sequences. Struthers also worked on Tiger Zinda Hai last year. Military support for Race 3 included a Blackhawk helicopter, Oshkosh trucks, NIMR military vehicles, and Humvees. 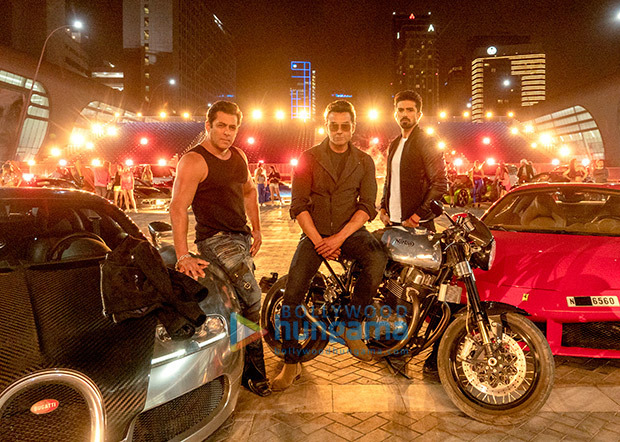 Race 3 is one of three major international productions to film in the Emirate this year, along with the latest in Tom Cruise’s high-octane action franchise Mission: Impossible – Fallout, and Saaho, starring pan-India star Prabhas. Also Read: Here’s how Salman Khan is planning on shaping Race 3 co-star Bobby Deol’s career! Anushka Sharma, Virat Kohli, Kareena Kapoor Khan, Shahid Kapoor, Arjun Kapoor, Parineeti Chopra give lessons in keeping it simple in monochrome! Will an Asteroid Hit Earth on Feb 15? WILLOW SMITH: A TEENAGER IN LOVE?